We've moved to a larger suite! 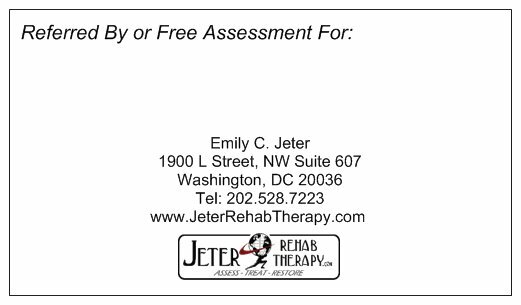 Jeter Rehab Therapy does not believe our time is more important than yours, and as part of our commitment to you, you will never have to wait for your scheduled appointment time. BEFORE: please try to reach the office approximately 5 minutes in advance to check in with Administration to calibrate any insurance benefit questions you may have and to change clothing as necessary. DURING: each treatment is approximately 45 to 60 minutes in length depending upon your condition/treatment. AFTER: Upon departure, we will make recommendations for scheduling your next appointments that best fit your treatment plan and progress. Scheduling will take a few minutes, plus any changing time you may need. As a new patient, we ask you to arrive at least 15 minutes in advance of your scheduled time to submit your paperwork. Please print out and complete in advance of your visit the two forms below. This will help us expedite your administrative time, ensure insurance payment parameters are established, and any medical conditions are addressed during your first visit. We have a dressing room within the clinic so you may change into clothing that best suits your treatment. During your first visit, we will review the length of treatment plan with you. Typically it is recommended that treatment is needed at least twice a week. 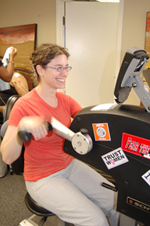 Our treatment hours are Monday through Thursday, 7:30am to 5:30pm. Friday's are reserved for Private Massage and Personal/Post-Rehab Conditioning sessions. You may call and leave a scheduling message on Friday's and we will return your call either that day or the following Monday to address your needs. *We will call you back to confirm your appointment times that same day or following day, if scheduling after hours. 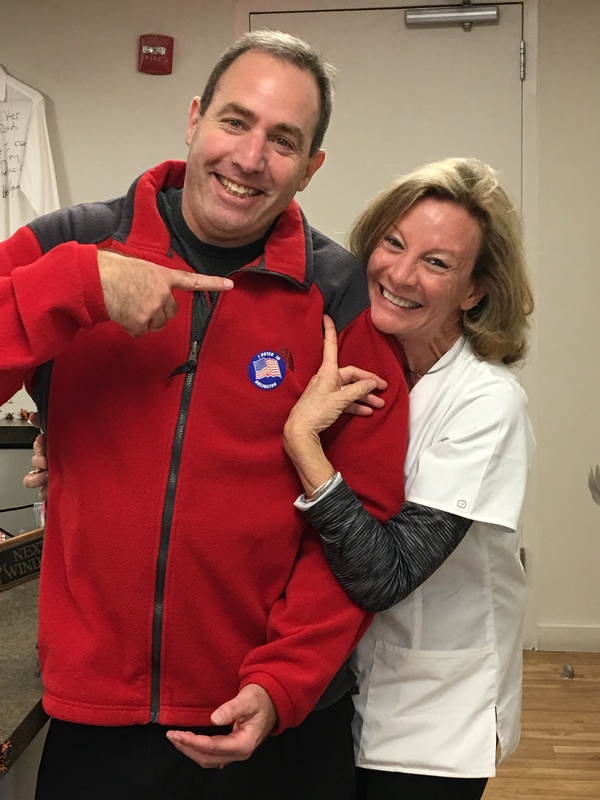 Our staff will provide a reminder a day in advance of all your scheduled appointments. Please let us know at any time if your contact information has changed. You will be charged $30.00 if you cancel an appointment less than 24 hours in advance of your scheduled treatment. You will be charged $55.00 if you do not show up for your appointment without contacting us at all. appreciation. 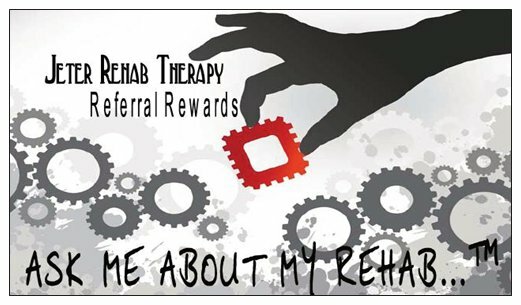 Please ask our staff for some - ASK ME ABOUT MY REHAB…..™ referral cards to hand out to your friends in need! Home | Conditions Treated | Services / Insurance | Your Visit / Referral Rewards | Contact Us Copyright 2009 Jeter Rehab Therapy. All Rights Reserved.